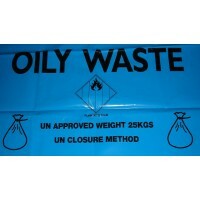 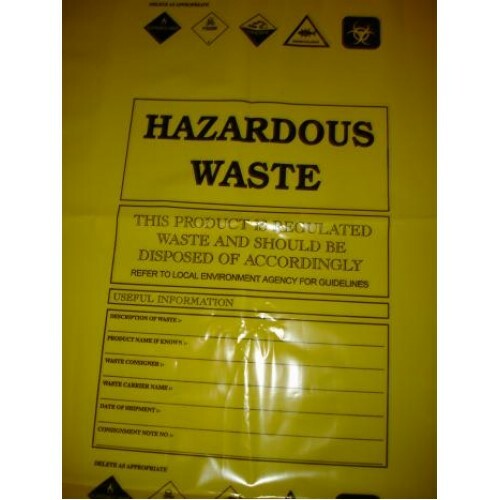 This large and very strong bag is bright yellow and printed with five hazardous waste warnings which can be deleted as appropriate. 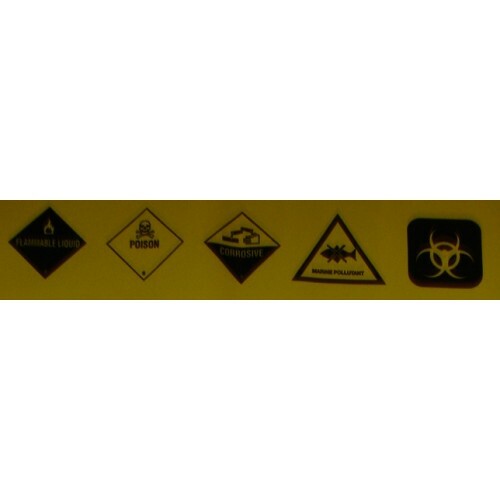 Includes warnings for: Flammable Liquid, Poison, Corrosive, Marine Pollutant and Bio-Hazard. 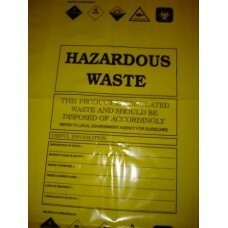 Includes hazard information box stating that the product is regulated waste and should be disposed of accordingly. 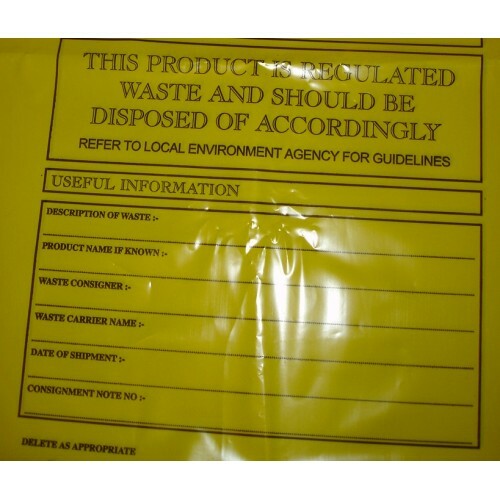 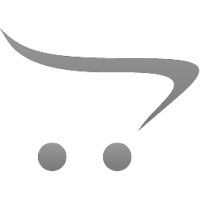 Box for description of waste, product name, waste consigner, waste carrier name, date and consignment number. 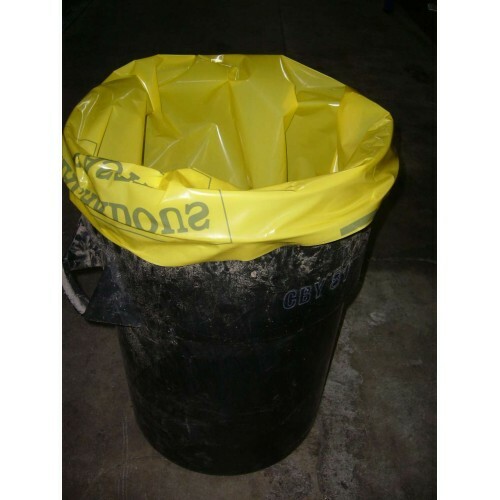 Fits into standard 80L bin (typical black bin size H72cm x W47cm x D47cm).